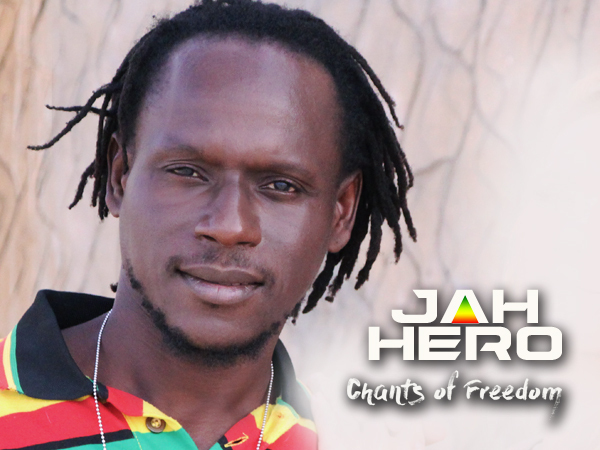 After many years of playing in bands and in collaboration with other musicians, Jah Hero finally released his highly anticipated debut solo album ‘Chants of Freedom’ on the 16th of March 2016. Recorded in Berlin, where the artist now resides, this album is packed with international influences, and describes a courageous journey of a compelling African artist. With an eclectic mix of Roots Reggae meets World-Beat, this album is definitely a milestone in the Gambian’s music path thus far, and marks a promising beginning to a successful solo career. The lyrical content is a refreshing balance of political, romantic and Rastafarian views, which makes this album interesting, and meaningful. Although predominately Reggae, one can feel Jah Hero’s African influence throughout the entire album. He has found a brilliant way of incorporating African elements and themes into his well-composed Reggae beats, and has created a significant and unique album that is not to be missed. One track that definitely stands out is the Dancehall song ‘Burn Down Rome’ at the end of the album. Albeit Dancehall, it is not your regular track with lyrics one would expect. On the contrary, Jah Hero shows that he is a truly versatile artist, who can portray his message of unity amongst all, and bring out the African vibes that he is clearly proud of, no matter the genre. Welcome Jah Hero, we salute you for this engaging, and impressive piece of work! « Chuck Fenda & Jah Hero LIVE on Europe Tour!